Owning an Apple iPhone is the best way of determining whether someone is rich or not – replacing posh mustard. That’s according to a new study that examined the best indicators of proving someone’s wealth. Research suggests that an iPhone is now the best indicator of someone earning a “high income”. The paper defines “high income” as being in the top quartile of income for a person’s household type – so single, married with kids, and so on. “Knowing whether someone owns an iPad in 2016 allows us to guess correctly whether the person is in the top or bottom income quartile 69% of the time,” explained the researchers. “Across all years in our data, no individual brand is as predictive of being high-income as owning an Apple iPhone in 2016,” they added. Other indicators of wealth included owning a Samsung TV set (58 percent), and having a car with Bluetooth connectivity (70.2 percent). If you use dishwasher detergent, you’re 69.3 percent likely to be “high income”, and if you use Ziploc-style plastic bags then you’re 57.5 percent likely to be loaded. The research also compares current rich-list indicators to the nineties, and times have certainly changed. Back in 1992, the top brand indicator for proving your net worth was using Grey Poupon Dijon, a type of mustard (62.2 percent). Next up was buying anything branded with Kodak, a now-ailing camera company that once signified your wealth with 61.6 percent accuracy. It’s no surprise that iPhones are now seen as a major indicator of wealth. Last year’s line-up of Apple handsets started at a hefty £699 ($908), rising to £1,149 ($1,493) for the top version of the swanky iPhone X model. Apple gadgets are famously expensive, with iPads starting at £319 ($417), the latest Apple Watch costing £329 ($427), and a pair of Apple AirPods wireless earbuds retailing at £159 ($206). But just because you own an iPhone doesn’t necessarily mean you paid the massive fees upfront. Buying phones on contract is extremely popular, particularly in the UK. By spreading payments over long periods (like two years), it’s easier for people to bag expensive Apple gear without being hit by huge bills. In any case, iPhones are much more popular in rich western countries than compared to the rest of the world. In the UK, 51.46 percent of smartphones are built by Apple. 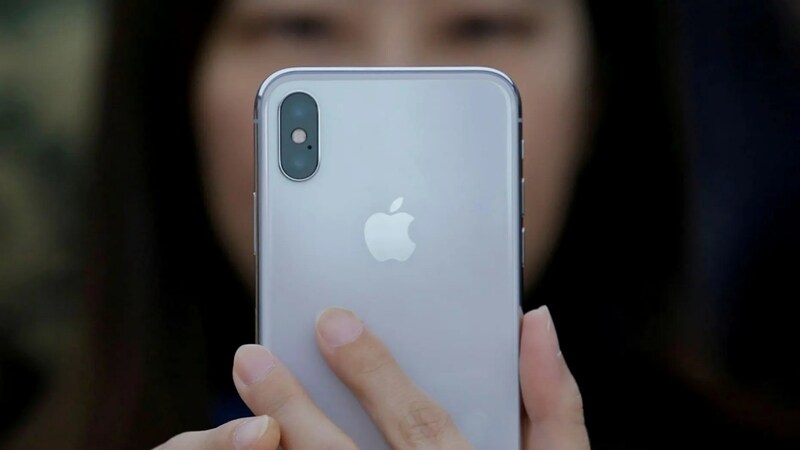 The next closest rival is Samsung, which accounts for 28.86 percent of phones sold in the UK in 2018 so far. After that comes Sony with 2.27 percent, revealing a huge gap in popularity from Android phones compared to pricey iPhones. But globally, it’s a very different picture – roughly 85 percent of phones in the world run Google’s Android software. Whereas Apple iPhones hold a much smaller 15 percent share of the market, largely because they’re so expensive.